ACESYS is now fastest growing Web Development industry in India - Mumbai. In recent times, there has been a growing demand for web application services. Web development is broad term and encompasses wide range of frameworks, technologies and services available in the web industry.Our custom web development team is made up of expert software programmers, web developers, IT analysts, testers and other specialists who zealously follow well defined path, to plan, build and deliver you precise web solutions. ACESYS specializes in quality Joomla based Website Development.We develop professional Joomla based website at affordable price for various industries such as medium to larg Corporates, Media Agency, Manufacturing Industry, Educational Institute, Printing Industry, Clothing Industry etc. we also provide extremely professional Joomla SEO services . Joomla is a dynamic Content Management System. Joomla is the most powerful open source and user friendly CMS. We strive to deliver professional work with efficiency to our clients. We wanted to harness pull marketing to capture qualified leads...that was our goal and that will be our marketing objective. AceSys created intelligent web presence for our services. Now we are being CONTACTED BY NEW CUSTOMERS EVERY DAY! Thanks, AceSys team. Strengths:-Very prompt responses, Very punctual and productive meetings, Limited but good ideas, Very good graphic design talent, High quality end product and service. 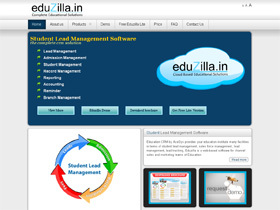 experience:-Fast loading, World class look and feel, Good usability, Adequate training material. ACESYS is a dynamic team of web development professionals, based in Mumbai, India. Our core team members have average 8 years of experience in web application development. Our portfolio includes Job Portal, Matrimonial Portal, Diamond Inventory Portal, TV Channel web portal, Cloud based Institute management Application. We have developed corporate websites based on Open source CMS Joomla and Wordpress. 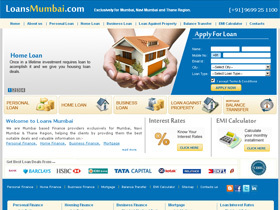 We are Mumbai based loan providers. 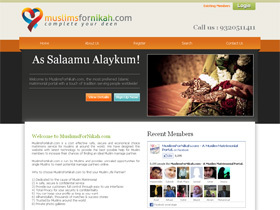 MuslimsForNikah.com is one of the premier Islamic matrimonial portal.